There is no greater desert or wilderness than to be without true friends. 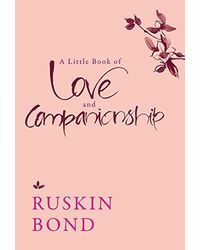 In this beautiful collection, Ruskin Bond puts together his favourite sayings on friends and friendship. From his own observations, recorded over the years in his diaries, to famous sayings by celebrated writers, poets and philosophers, this is a delightful compilation of thoughts on love, friendship and family. 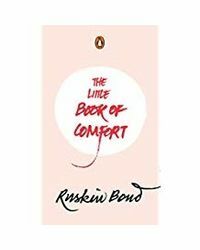 Told with the heartwarming simplicity that characterizes Ruskin Bond, this book, much like a good friend, is one you can turn to at any time, for comfort and company. This book is an anthology of the greatest quotes on friends and friendship from some of the best-known authors in the world, including Ruskin Bond himself. The book is the second instalment of the Little Book series, following the hugely successful A Little Book of Life. Beautifully designed, with pages of intricate calligraphy, this book is a collectors item. Ruskin Bond has been writing novels, poetry, essays and short stories for over half a century now. He has also compiled and edited a number of anthologies over the years. He was awarded the John Llewellyn Rhys Memorial Prize in 1957, the Sahitya Akademi Award in 1993 (for English writing in India), the Padma Shri in 1999 and the Delhi Governments Lifetime Achievement Award in 2012. 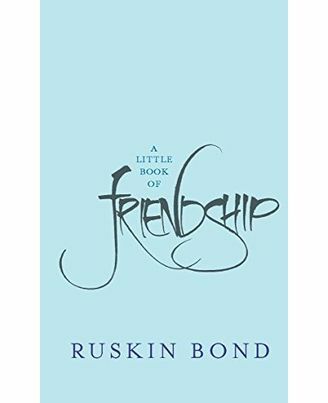 About the Book :There is no greater desert or wilderness than to be without true friends.In this beautiful collection, Ruskin Bond puts together his favourite sayings on friends and friendship. From his own observations, recorded over the years in his diaries, to famous sayings by celebrated writers, poets and philosophers, this is a delightful compilation of thoughts on love, friendship and family. 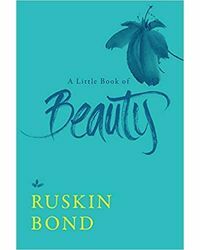 Told with the heartwarming simplicity that characterizes Ruskin Bond, this book, much like a good friend, is one you can turn to at any time, for comfort and company. Interesting Facts :This book is an anthology of the greatest quotes on friends and friendship from some of the best-known authors in the world, including Ruskin Bond himself.The book is the second instalment of the Little Book series, following the hugely successful A Little Book of Life.Beautifully designed, with pages of intricate calligraphy, this book is a collectors item. About the Author :Ruskin Bond has been writing novels, poetry, essays and short stories for over half a century now. He has also compiled and edited a number of anthologies over the years. He was awarded the John Llewellyn Rhys Memorial Prize in 1957, the Sahitya Akademi Award in 1993 (for English writing in India), the Padma Shri in 1999 and the Delhi Governments Lifetime Achievement Award in 2012.